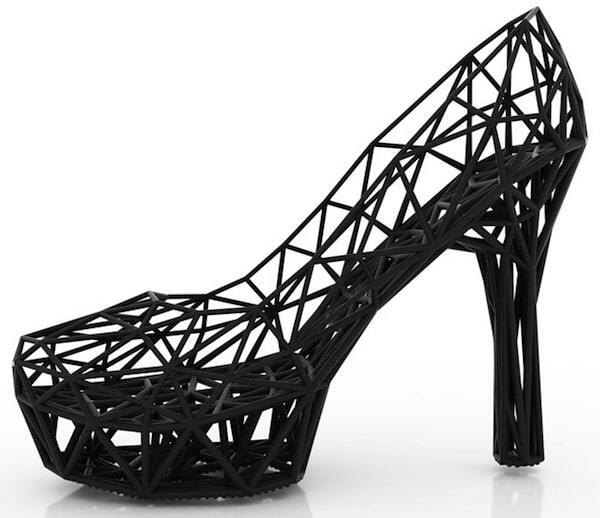 What would you say if we told you that you could print out an actual pair of shoes? We thought it was unbelievable, weird, cool, and fascinating all at once. 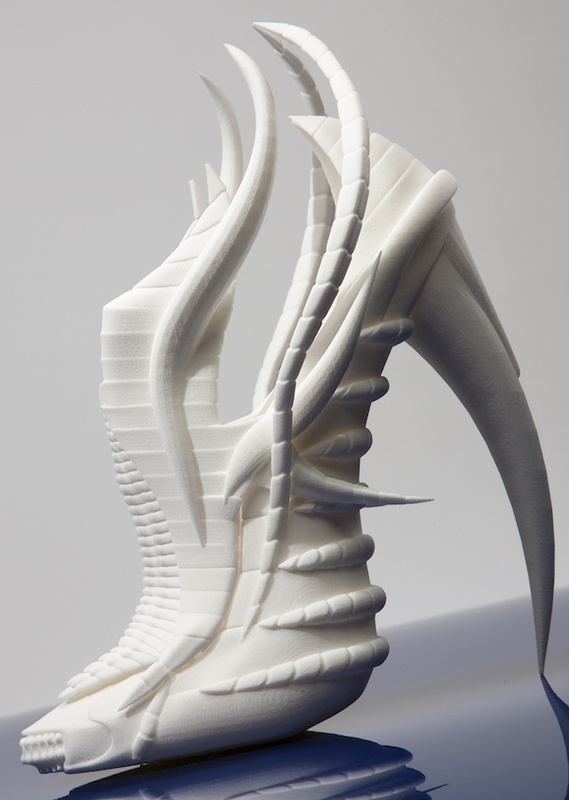 Technology, particularly 3D printing, allows us to do so many things nowadays, and fashion companies and designers have taken full advantage of that. They say the process is more environmentally friendly, which is the reason they’ve explored this trend. 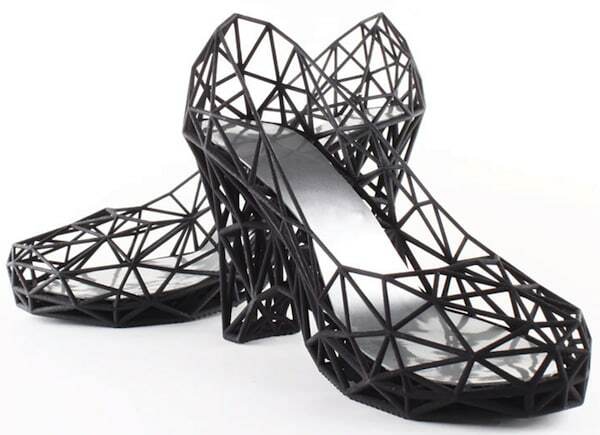 Here are some cool 3D-printed shoes that can actually be worn and used. Would you wear them? These Cinderella-inspired wedges and pumps come in different colors and have to be specially ordered. At $900, it is a solid investment for a lightweight yet durable pair. They come with a patent leather inner sole and a rubber-coated bottom, too. The company is currently developing other prototypes like these. 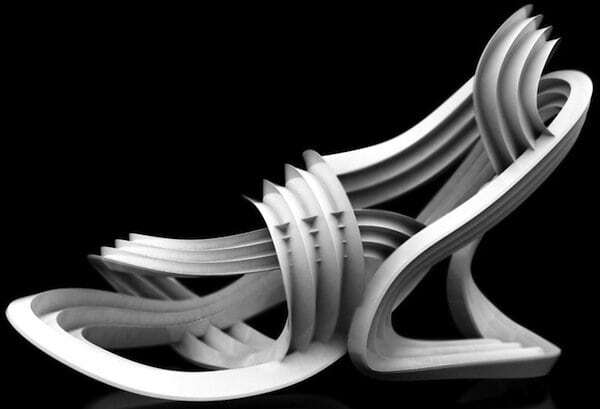 Nike was the first brand to launch 3D-printed athletic shoes. They were created for top football athletes. 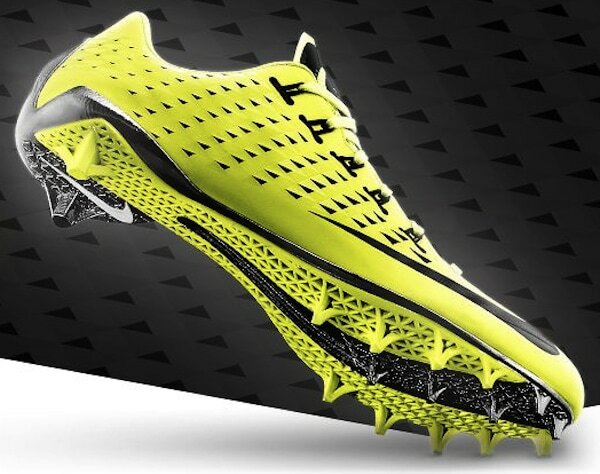 The Nike Vapor Laser Talon weighs only 5.6 ounces and is truly built for speed. It doesn’t scrimp on design either, as you can see below. New Balance worked with athlete Jack Bolas to come up with his perfect running shoes. 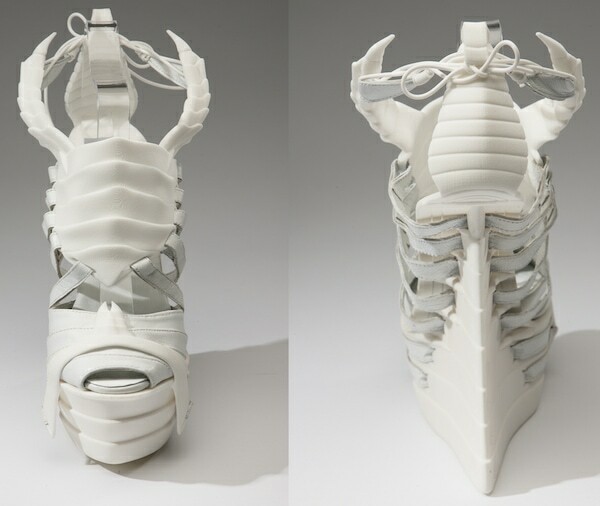 Using wired shoes to sensor Bolas’ movements, New Balance created shoes customized for his needs. These trainers are not available for consumers yet, but can you imagine a truly perfect pair of running shoes just for you? Exciting, isn’t it? 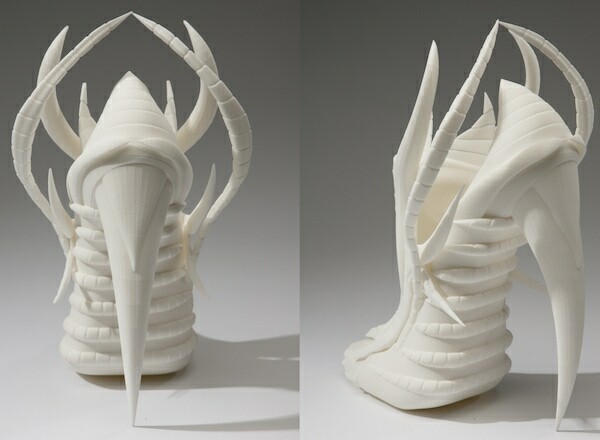 Ratsma is a designer known for “developing products with a visionary appeal.” Her 3D-printed shoes were inspired by nature and efficiency. This is definitely a visionary’s work. 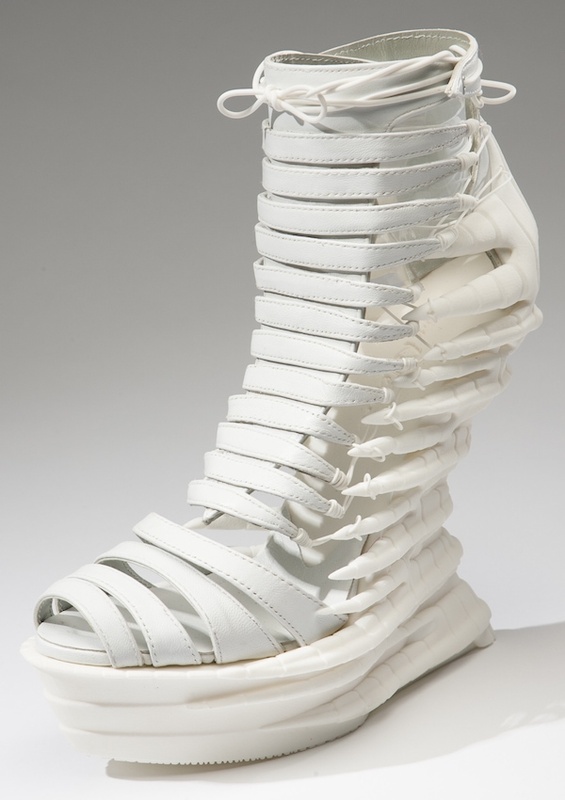 Janina Alleyne is a footwear designer based in Warwickshire, United Kingdom. 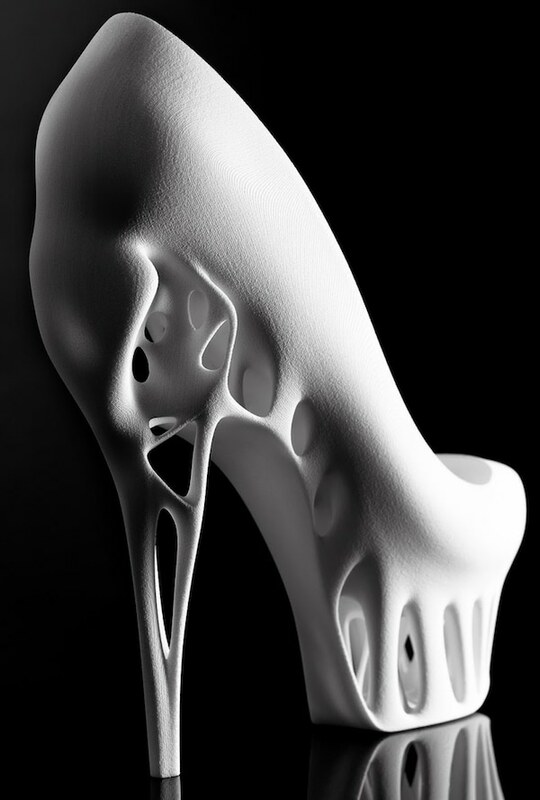 Her fashion-forward designs are inspired by animal skeletal structures (hence the name exoskeleton). What do you think of her funky designs? 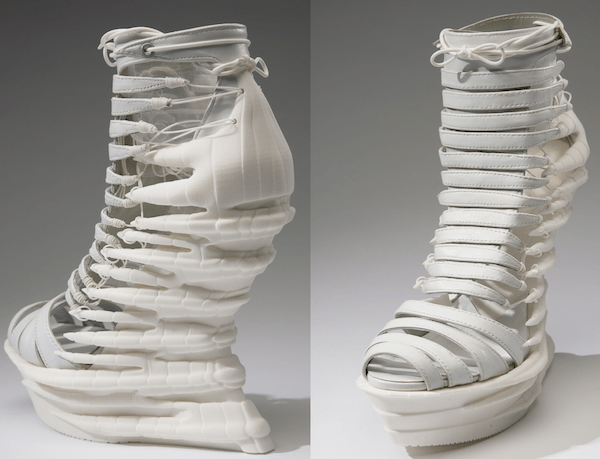 Hoon Chung’s footwear collection is modern, trendy, and 3D-printed, too. 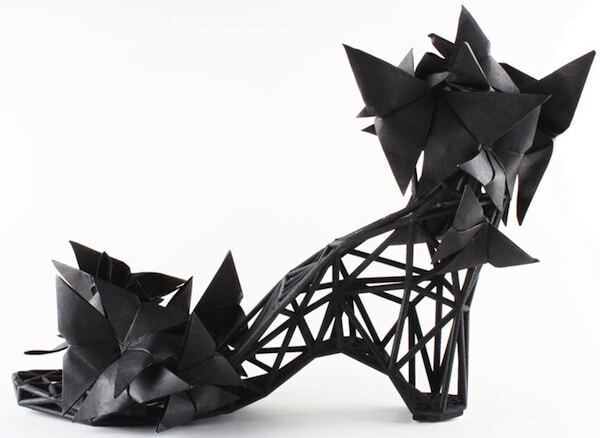 The London College of Fashion student is known for exploring alternative methods of creating shoes. That’s probably why he has the largest 3D-printed footwear collection. Would you wear any of his designs?